here was an interesting article today in the Marin IJ with links to simulations done by the USGS, trying to replicate the type of movement that occurred in the famous 1906 San Francisco Earthquake. 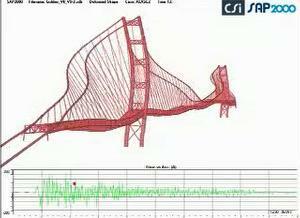 The amount of violent shaking of the Golden Gate’s span that was created in the simulation was amazing (deformations are amplified 100x in the simulations), and potentially horrifying. One wonders if cars on the span during a seismic event like this would be flung into the bay waters below. It brings to mind the famous destruction of the Tacoma Narrows Bridge, although that was a case of wind resonance. 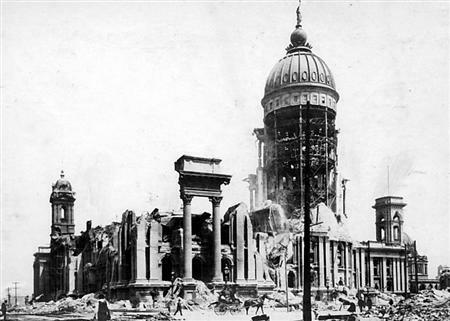 After the experiences and disaster reporting that took place after Hurricane Katrina, it is scary to think about a potential repeat of a great earthquake like 1906. Previous PostFresh Looking Precast Paver Solutions from StepstoneNext PostTurned Earth Turns 150!